(SAVANNAH, GA) The Savannah African Art Museum is moving to a larger and more accessible space. Currently housed at 111 E. 34th St., the museum’s collection of more than 1,000 pieces of mostly central and western African artwork will relocate to a 6,000-square-foot historic home at 201 E. 37th St. in late summer. When a former photography studio across the street from his office became available a couple of years ago, he opened the nonprofit Savannah African Art Museum but soon realized he needed more space for the artwork, much of which was still in storage, as well as off-street parking. 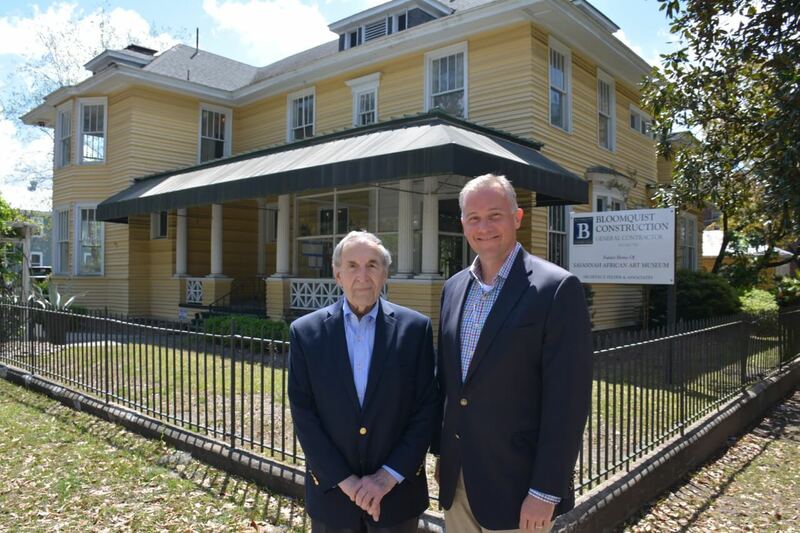 (LEFT) Don Kole, art collector and founder of the Savannah African Art Museum and (RIGHT) Brian Felder, founder and principal of Felder & Associates, stand in front of the 6,000-square-foot historic home being adapted to showcase the artwork.